The keener eyes amongst you might have noticed that there was no long-term update on the Hyundai Tucson in the last issue of the magazine. 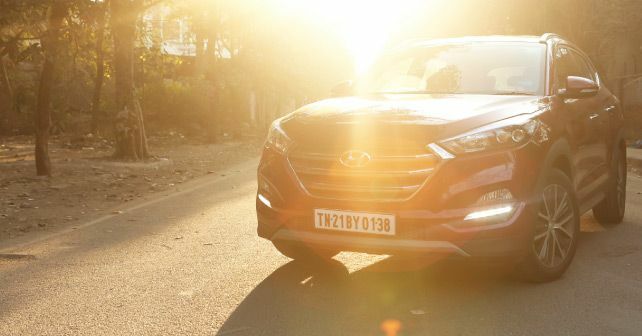 Well, that was due to the fact that owing to an internal event, Hyundai India had requested for the car to be returned to them for a few weeks, and off went the Tucson to attend to more important matters than my daily commute. In the meanwhile, I took the opportunity to drive other cars for a longer period than normal and got used to them. But, truth be told, I did miss the Tucson quite a bit. Unless you’re driving something 2 or even 3 times the cost of the Tucson, it’s hard to match Tuscon’s level of comfort, pliant suspension, powerful and torquey engine and ease of using the automatic gearbox. The Tucson did come back about 10 days ago, though, and I was back to driving my daily steed again. And once again, it reaffirmed my view that there’s hard to find a better SUV than the Tucson in its price range. What’s good: The comfort and ease of the AT spoils you!